For a thousand years light and dark witches have held a wary truce. As long as the Silver-Tints and Blue/Blacks kept to their own, violence was avoided. 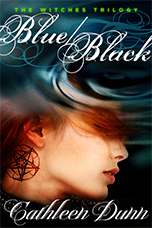 But now danger and betrayal emerges in the heart of the light witch community; Olivia may be turning Blue/Black. No one has a cure – until a mysterious witch named Malila claims she and her powerful Necromancer can help. Malila has secrets within secrets, though. She puts her focus on Alejo, and as much as Alejo loves Olivia, he finds this new woman irresistible, intoxicating, sensual as he’s never known – and he is obsessed with her. Now Alejo has to choose where his allegiance lies, but Olivia may not survive the ordeal. Dantin’s a vicious Blue/Black who is used to getting his own way, and he wants Olivia, a Silver-Tint witch who exists to do good. But she told him “no” centuries ago, and he’s been stalking her ever since. He hates her for not loving him back and is hell-bent on destroying everyone she cares about, just to punish her. Not only that, his familiar can possess and control any witch, and no one is safe until they are stopped. But the icing on all this? 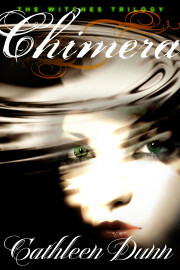 Olivia can’t use her powers to fight Dantin or his familiar, or she’ll turn evil herself. She’ll need every bit of craft and trickery she knows to get everyone out of this alive. Because if she can’t, things will get worse. Right now I’m working on the third installment, The Witches Trilogy: Step. For everyone who has been waiting to see what happens with Taylor’s stepfather, this is it. He has a powerful and cunning familiar helping him, which creates real problems – especially since Taylor and the other Silver-Tint witches can only do good with their powers. From Seattle to the glittering and exotic city of Dubai – Arabia’s jewel of the Sahara – Taylor and her stepfather hunt each other, each vying to get the upper hand and end it all. But Taylor is not willing to cross the line in order to win.